It’s hard to capture the way this piece fairly glows with colour. 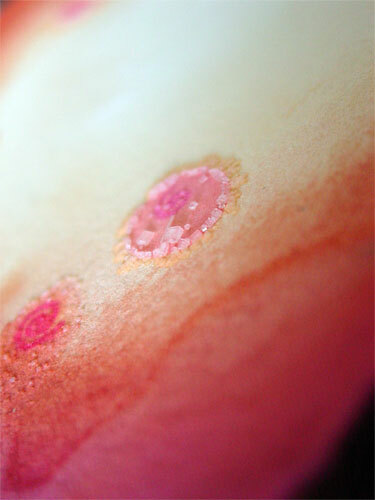 There’s just two pigments, a pink and a rich orangey-gold that fades to the cream color of the paper in the center. 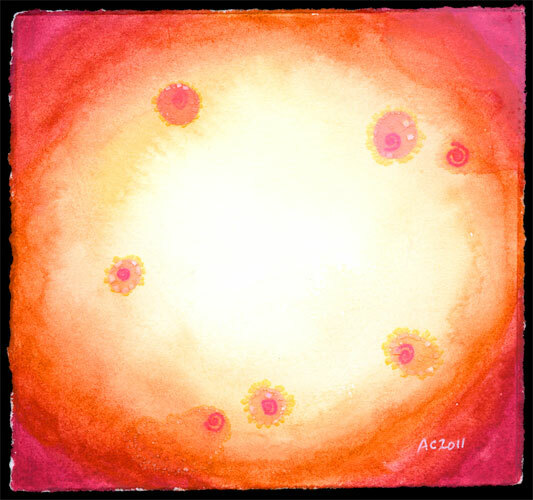 I added seven salt circles, double-drawing the spirals in an orange-red and the apricot gold, so the centers of the salt circles reflect the pink from the corners, and the outer circles of salt crystals reflect the orange from the center. White Hot, 5″x5″ salt, pen & ink, and watercolor on paper. The salt crystals add a three-dimensional texture to the image, like planets being drawn into an inverse black hole.